When we last left off, we had enjoyed a dinner with a tribe of mother runners and were ready for the main event. After a busy day, I was ready to hit the hay. Soon enough, it was time to get up and find our way to another start line. This one was conveniently located just outside the doors of our hotel. There were 4 corrals of runners and we were seeded based on our projected race pace. Given the size of the race, there could (and should) have probably been at least 2 additional corrals. The corral our group started in was for runners pacing a 10 minute mile or more. That’s quite a range of paces and indeed, created a lot of bottlenecks. The course really never did open up and it was a very crowded race. This is really my only complaint about the whole thing, as it was so well organized otherwise. It was clear early on that, even if we were trying to PR, it was never going to happen in this sea of people. We even saw someone take a huge tumble in the first mile due to course crowding! Laural and I stayed together as we dodged and weaved our way through the people. While I was a little disappointed in the crowding, she remarked that she felt super fast as we were passing so many people which was a positive way to look at things! Soon enough, she began looking for porta-potties and I tried to convince her to wait so we would not fall even farther behind the masses. This may have been one of the funniest moments of the race when I reminded her that Sarah Bowen Shea, our idol at Another Mother Runner, does not stop for potty breaks, but just does her business on the run. No pressure, Laural! The porta-potty lines were long, but we did stop. I opted to wait as it was clear we would never find each other again in the masses. We lost a few minutes, but she was a happier running partner afterwards! The crowd support was amazing throughout the race. 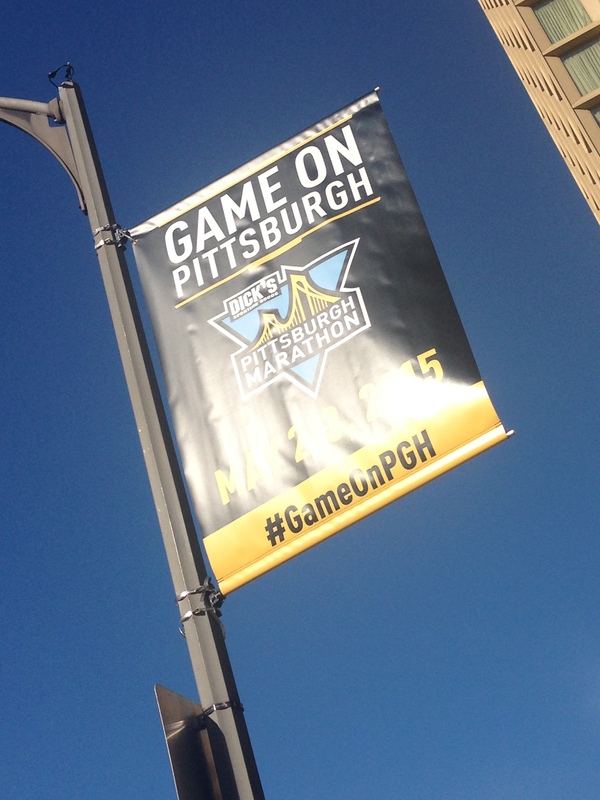 The city of Pittsburgh knows how to make runners feel welcome and celebrated! Soon enough, we were taking the first of 5 bridges and it was exciting to run the famed steel bridges, even after our preview on the 5K course. The sun was coming out and it was quickly heating up on the course. Given that we had not run in the heat in MONTHS, we were a little surprised by how our bodies felt in dealing with the heat, but we were also not complaining – we have been frozen for too long to complain about heat! Girl #1: This course is advertised as being flat. That is a total lie. Girl #2: Yeah. But it could be course. This gave me a laugh as we kept running. We were tiring, but we soon passed a sign that read, “Welcome to Mile 10, the flattest mile on the course.” However, we were clearly on an incline which made us doubt the validity of the sign. We wondered if it was ironic. We took an extended walk break while we hydrated and GU’ed, and began pondering if this could be an “international PR”. It was clearly not going to be a straight PR, but our only other races in the USA have been with runDisney where stopping for pictures every mile is the norm. We figured we could beat those times. However, a check of my watch reminded me that we should perhaps stop talking about getting a PR and you know, go get one! More hills and climbing and then came the sucker punch final hill which never seemed to end. We had heard about it, but were not really prepared for it. We slogged up it, noticing that most everyone was walking and who were we to argue with such survival strategies? Soon enough, we crested the hill and began a long and lovely descent. Ahhhhh, my legs thanked that downhill. Suddenly, like a mirage, we noticed a swatch of yellow ahead in the distance. 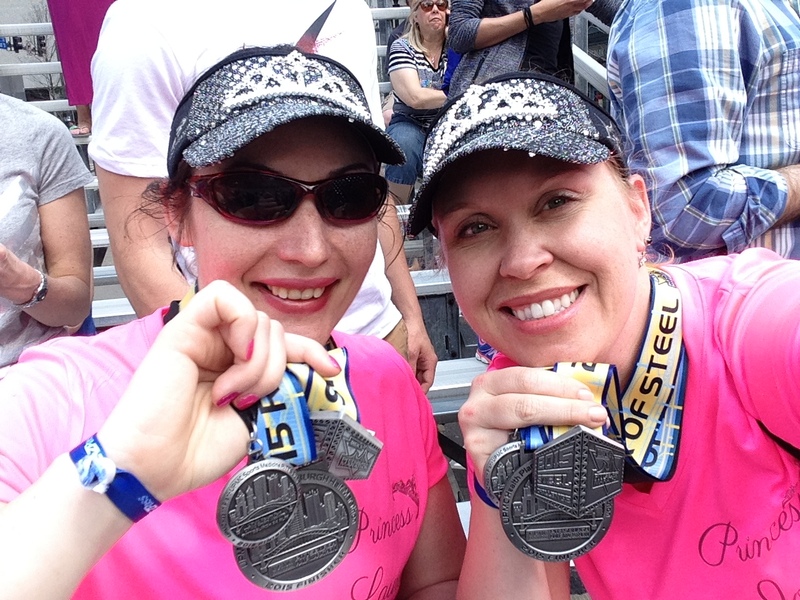 Not trusting our eyes, we confirmed with each other than indeed, the Finish Line was beckoning! We had enough juice to turn it up for the final stretch and cross the line together, hand in hand. Not a PR. But, yes, an “international PR”. If that’s a thing. In the finisher’s chute, I was impressed by the delicious offerings of cookies, chips, applesauce, bananas, bagels and water. It was far beyond the normal post-race fuelling options. We collected our half-marathon medals, as well as our Steel Challenge medasl for running the 5K and Half-Marathon on consecutive days. 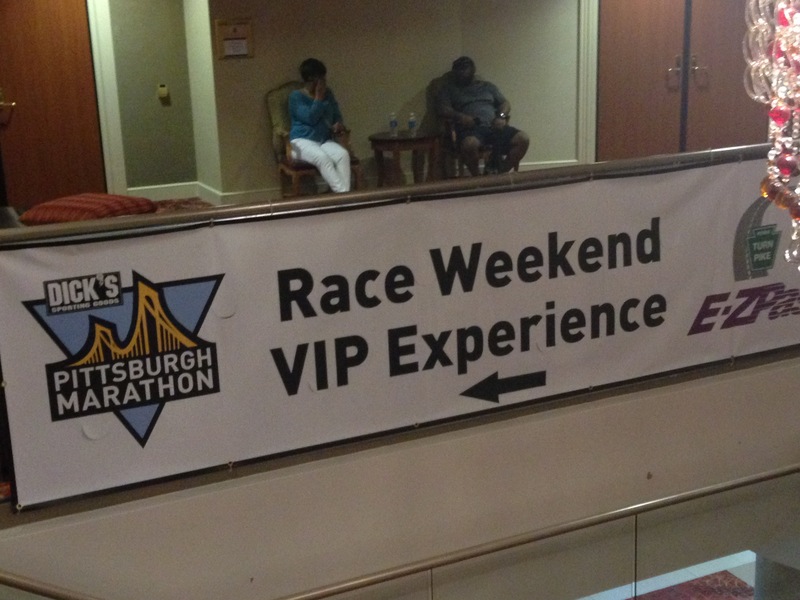 I was fortunate to be chosen as a featured blogger for the race, which came with a VIP Experience. This add-on can be purchased as well. It features a pre and post race experience. Before the race, we took advantage of the private bag check option, but there was also a continental breakfast at the start line that seemed popular. 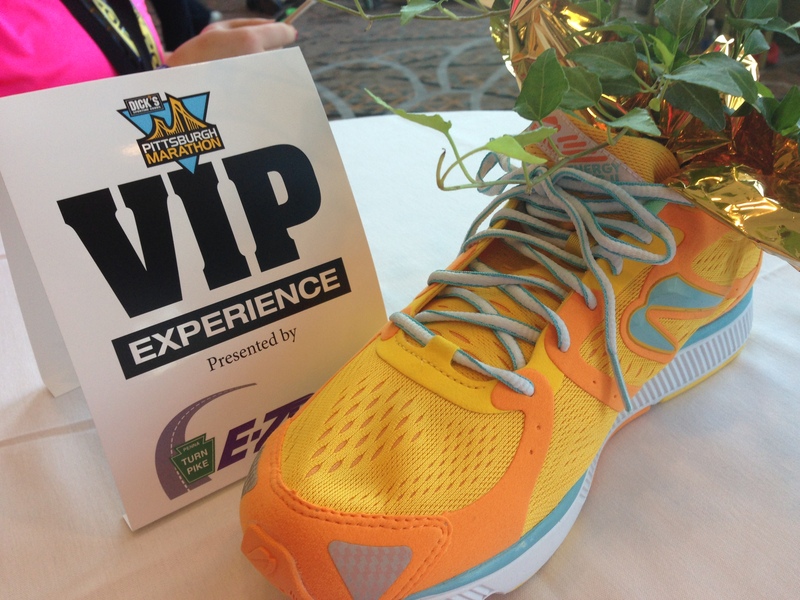 Although we zipped through that experience, we enjoyed everything the post-race experience had to offer! Overlooking the party in the park at the finish line, we enjoyed a hot meal and post-race massages. 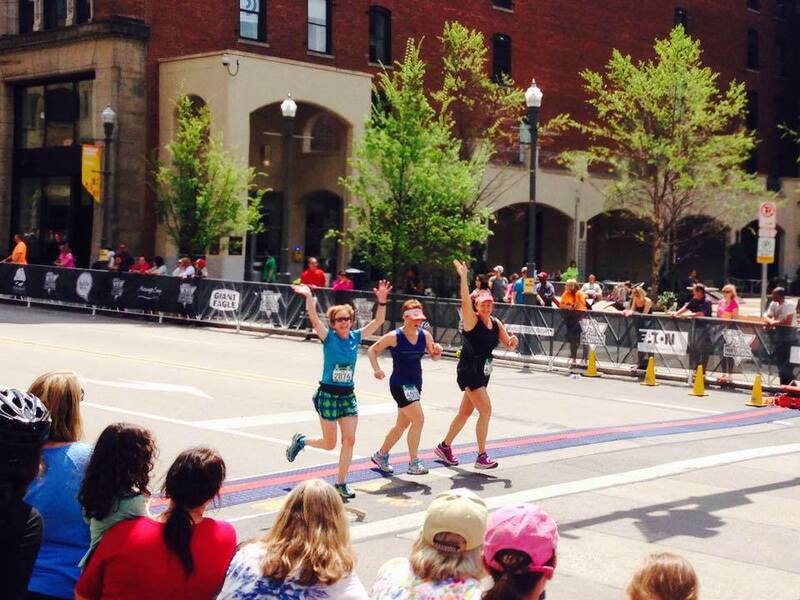 We had a live feed of the finish line as well. It was so relaxing to decompress and recover in this very calming atmosphere. 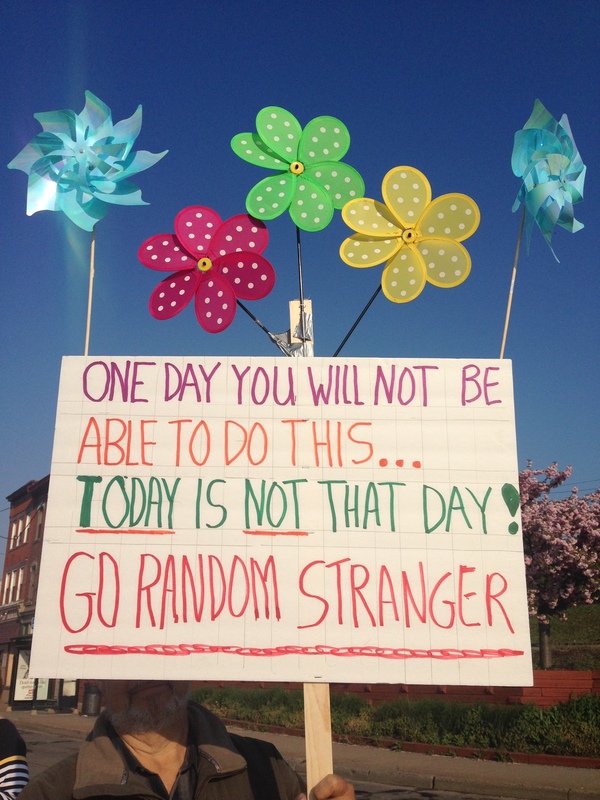 We wanted to be at the finish line to see our friends running the marathon come in, so we enjoyed the VIP Bleacher Seating where we had a great view of the finishers – including my Ragnar teammates, Erin, Jennifer and Kim, who was running her first marathon! It was so inspiring to see them finish together. 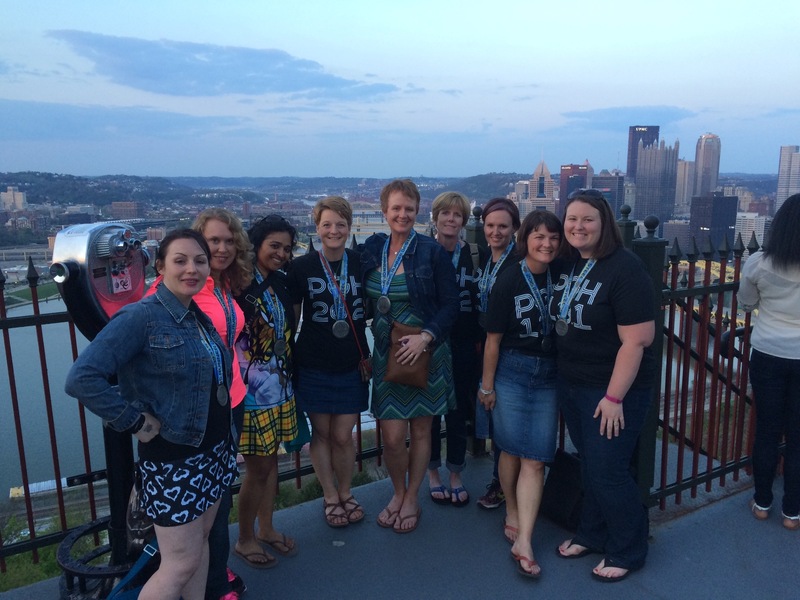 We still had the rest of the day to take in some sights of Pittsburgh and, of course, try some perogies! 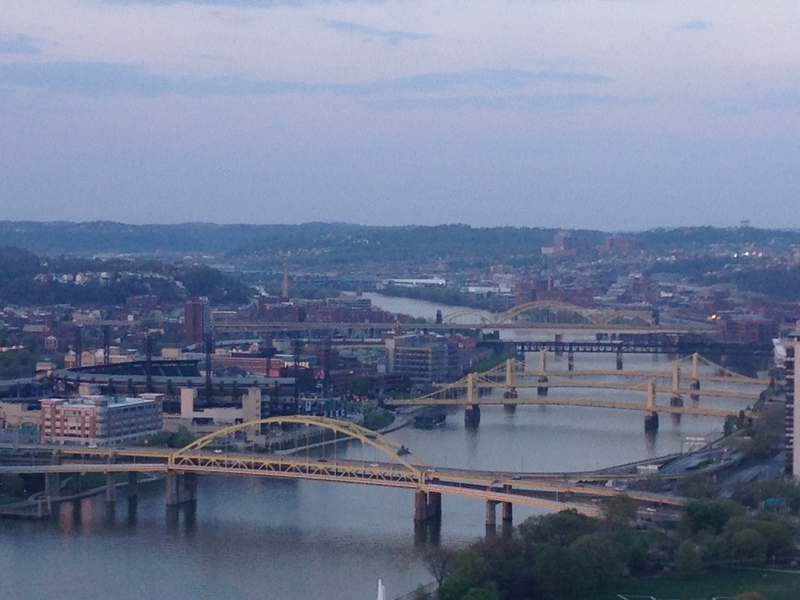 We also enjoyed a trip to the top of Mount Washington where we marvelled at the beauty of this city. 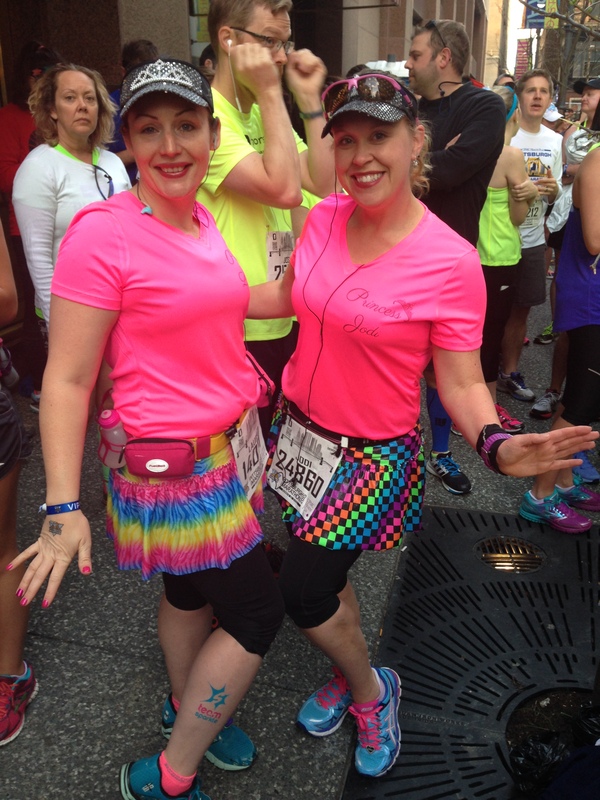 I would highly recommend this race – and this city – to anyone looking for a fun runcation! 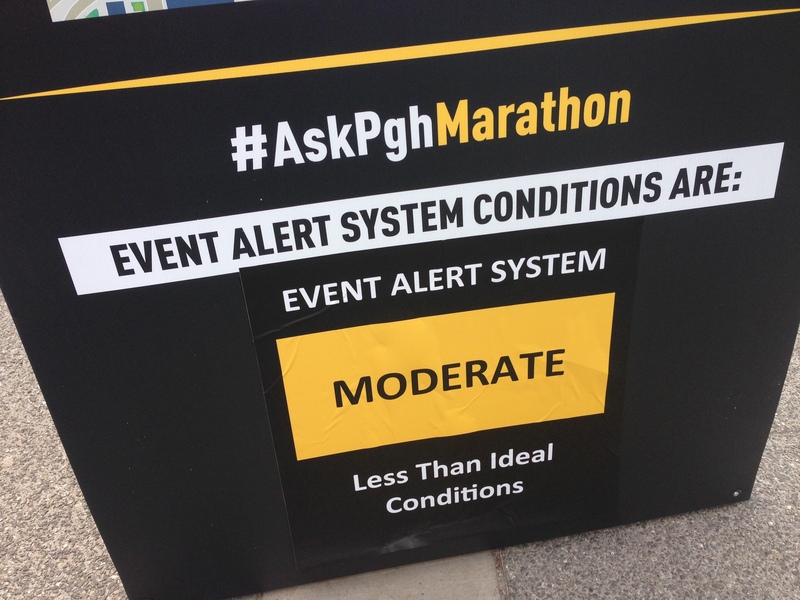 Although the course was too crowded for my liking, every other aspect was organized to perfection, from pre-race communications to the expo and the events themselves, to post-race communications. 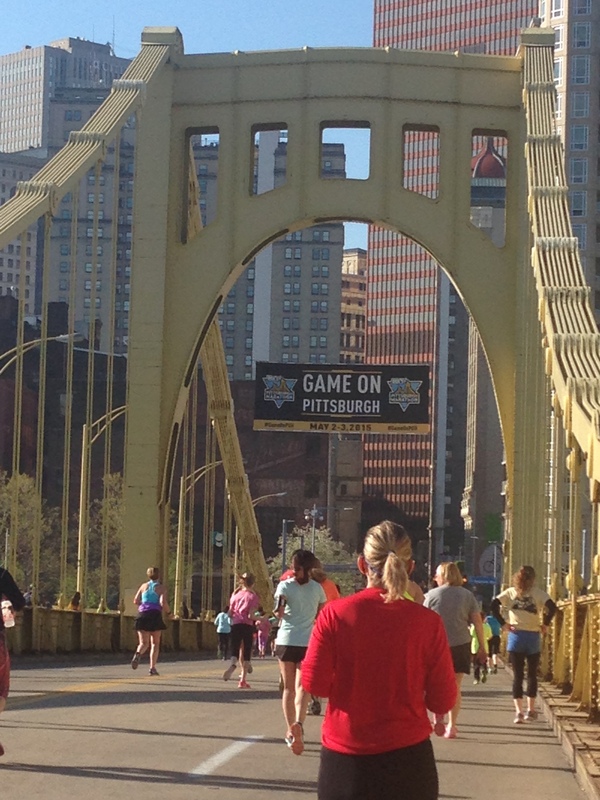 I don’t think anyone could run Pittsburgh and not be impressed with the race, or fall in love with the beautiful city. And finally, thanks for my BAMR Ragnar Relay team for this wonderful weekend of running, laughter and friendship!